It looks like your browser is not supported. You can upgrade following the link below. ICT has the potential to transform the way that healthcare is delivered by empowering people to become self-directed and manage their own health via their smart device, anytime anywhere. By 2030, healthcare will be mobile, accessible from anywhere in the world; it will be empowered, allowing everyone to make informed decisions on their own health; and it will be democratized, available to anyone across the globe. In 2030, a smart device with an internet connection, two technologies that are expected to be ubiquitous by then, will enable you to monitor your own health. Remote monitoring via health apps, wearables and sensors will allow people to keep track of their own health and make decisions based on their personal data, or even their own DNA sequencing. Doctors in will have instant access to a large amount of meaningful and standardized data on DNA patterns, diseases, and treatments and will be able to personalize care to an individual level, allowing more time for personal interaction between doctor and patient. "create a healthcare experience that is personalized, empowered and effective." Humber NHS Foundation Trust go mobile and spend more time with patients. A mobile solution for NHS Foundation, contracted from BT, transforms patient care and the working lives of clinicians, while at the same time saving the Trust money. The mobile solution uses an innovative software from Belfast company, TotalMobile, to give healthcare professionals on the move access to real-time information where and when they need it. The mobile healthcare technology enables staff at the Trust to provide a range of mental health, community, learning disability, and addiction services. Via the mobile solution the staff is able to access patient records, view schedules and appointments and update notes while on their rounds, using a mobile device of their choice, such as tablets or smartphones. The new mobile solution ensures that clinicians have the most up to date information at their fingertips whether in the office, on the go or at the patient’s home. It streamlines the Trust’s existing processes, reducing the need to return to base, saving time, paper usage and money travelling and allowing more time to be spent on patient care. In most countries, the healthcare industry has a substantial impact on society. Not only by treating people who are sick, but also in terms of people employed, money invested, or energy and resources used. 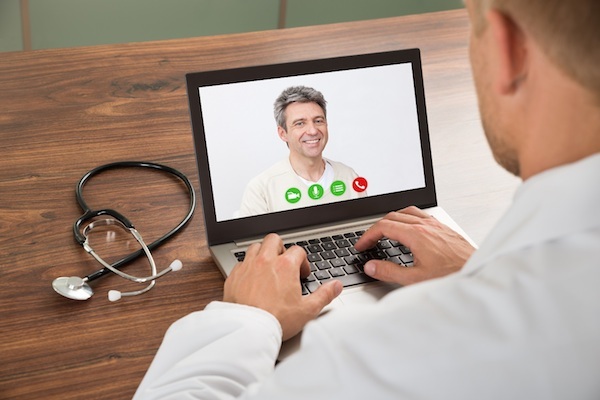 With E-Health solutions however, patients no longer have to travel to a hospital for check-ups or appointments, but can contact their doctor via their smart device, from the comfort of their own home. Globally, ICT enabled solutions can support healthcare facilities in reducing their carbon footprint by 0.203 Gt CO2e and saving 1.7 billion liters of fuel through reduced travel and decreased usage of resources and physical healthcare facilities. The traditional healthcare industry is resource intensive with large physical facilities and many resources used to supply a range of different healthcare services. ICT enabled solutions such as remote monitoring, wearables and E-Health applications provide ways to monitor your own health and reduce the need for people to travel to physical healthcare facilities. By doing so, such technologies free up space and resources in terms of time, money and materials, and can potentially generate $66 billion in annual cost savings by 2030 from around 271m2 of space released. In addition, adoption of E-Health technologies could generate an additional $63.4 billion in revenues from wearables for the ICT sector and $208.8 billion from private sector health parties selling E-Health services to clients. Access to affordable healthcare is a critical issue in developing, emerging, as well as developed countries. With growing populations and increasing healthcare costs, it becomes more and more difficult to provide access to quality healthcare services. By 2030, ICT enabled solutions could provide access to affordable healthcare, from any place in the world, to a total of 1.6 billion people. These E-Health beneficiaries will have access to ICT solutions facilitating a healthcare experience that is more personalized, preventive and self-directed. In addition, more efficient healthcare delivery through ICT has the potential to free up significant amounts of time and resources. Quality education and learning opportunities are essential to improving one’s income potential. However, people cannot afford it equally as rising costs and the need to travel to facilities form barriers in providing access to education globally. In order to provide learning opportunities in even the most remote areas, the concept of E-Learning is quickly being picked up by a new generation of tech-savy people demanding an engaging and personalized learning experience at their own pace and convenience. E-Learning, the digitalization of learning, has the potential to transform the very definition of knowledge delivery from “static classroom” to “anytime anywhere” through remote access from any connected smart device. By 2030 E-Learning will be the new norm, creating a learning experience that is mobile and continuous; accessible remotely anytime anywhere, self-directed; adjusted to one’s specific needs, and engaging; through virtual or sensory experiences and extensive collaboration across platforms, borders and institutions. A new generation of students will have the opportunity to not only be consumers of technology, but to become creators of technology through access to interactive and engaging computer science education. Through ICT-enabled solutions education can become a lifelong journey in which learning is personalized to your specific needs, providing people in even the most remote areas the opportunity to fulfil their potential and increase their quality of life. "Creating a learning experience that is right for you." Microsoft’s Skype in the Classroom is a free global community connecting students, guest speakers and more than 100,000 teachers from 235 different countries in 66 different languages. The program offers a shared learning experience by bringing a world of new ideas into the classroom helping students discover new cultures, languages and concepts, all remotely. Through this program teachers are able to inspire the next generation of global citizens with innovative learning experiences through online collaboration, games, guest speakers and a fantastic game called Mystery Skype. With Skype in the Classroom, teachers can offer blended learning by adding an interactive and digital components to their classroom teaching. They can provide computer science education and bring it to life by talking to tech professionals via Skype, or inspire literacy and design by scheduling authors, illustrators, publishers or entrepreneurs to talk to their class over Skype. Student learning no longer has to be limited by physical, economic or cultural boundaries. By providing access to a wealth of global content and resources, Skype in the Classroom is a strong example of how ICT-enabled solutions can help enhance quality of life by providing creative learning opportunities and experiences at low costs. In the traditional education system, students are required to travel to a physical location such as a school or training facility to receive their education. With E-learning education will be location-independent and available at everyone’s fingertips via smart devices. Adopting such solutions has the potential to generate a global abatement potential of 0.071 Gt CO2e through reduced need to travel to physical locations and a reduction in resources used. For example, 5 billion liters of fuel from travel and 91 million tons of paper can be saved from switching to electronic materials. One of the biggest constraints for global access to education and learning is rising costs. In the traditional education system people have to travel to a physical location, pay tuition fees and use up resources such as paper and books. 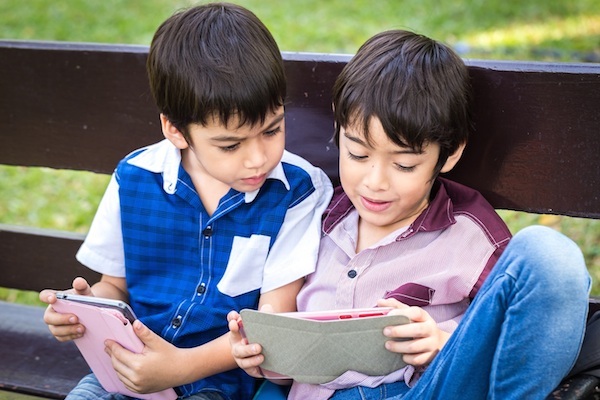 By using smart devices, learning can be made accessible from any location in the world as long as there is a working broadband connection. E-learning has the potential to lift financial and locational barriers to education and create a learning experience that is both engaging and cost-effective. By taking away the need to travel and use up resources, E-learning could generate $1,211 billion in cost savings due to a decrease in expenditure per student. In addition, adoption of E-Learning is expected to generate $75.3 billion in additional revenues for the ICT sector. Access to quality education is essential in raising one’s income potential, but people across the globe cannot afford it equally. Developing and emerging countries in particular struggle in providing access to quality education that is both affordable to lower income groups and accessible from remote areas. By adopting E-Learning solutions education can be made available remotely and at low cost through smart devices and broadband internet. By 2030, E-Learning has the potential to generate around 443 million E-Learning degrees, effectively enhancing people’s income opportunities and quality of life. 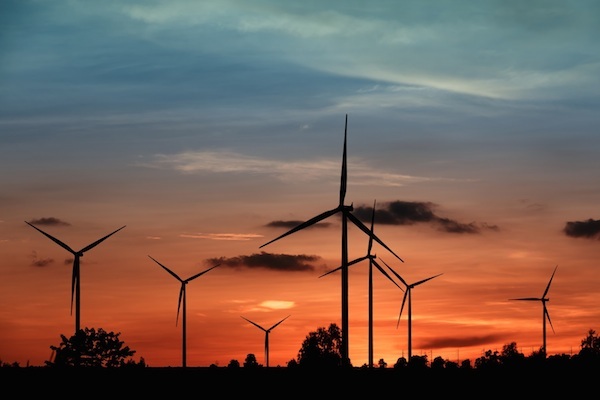 Faced with ageing infrastructures, rising CO2e emissions associated with energy and a disruption of core business processes by local and renewable energy sources, utility companies are looking for ways to improve the grid and allow for further integration of distributed and renewable energy. ICT-enabled solutions such as Machine-to-Machine learning, advanced data analytics and distribution management systems have the potential to significantly improve efficiency of existing grids while paving the way for a clean energy revolution. By 2030, disruptive ICT-solutions will facilitate the development of smart grids that can basically run themselves by collecting, analyzing and acting on a continuous stream of data and information from all assets in the grid connected to each other via the cloud. Such connectivity will allow for improved load management; through better matching of energy supply and demand at any point in time, and further integration of renewables; by facilitating distributed and variable energy feeding back into the grid. In addition, smart grids will provide enhanced grid efficiency through streamlined operations and monitoring of assets throughout the grid resulting in fewer losses during transmission, storage and distribution. Together these technologies have the potential to create a global energy system that is resilient, reliable and secure. With demand response technologies able to reduce peak loads and exponential improvements in energy storage technologies, ICT is a key driver behind improving energy efficiency in the grid and accelerating the decarbonization of the energy sector. "Decarbonizing the energy sector through ICT." Microsoft eSmart Systems is a cloud-based automated energy management system that employs sensors, smart meters and software to forecast consumption, reduce outages, and monitor assets to improve energy efficiency. There is a wealth of data available to utility companies on the energy grid, but the challenge is to make sense of this data and turn it into actionable information. eSmart Systems provides a central way of bringing this information together and enables energy companies to deal with complex challenges such as balancing peak loads and supply and demand, as well integrating renewable energy sources and technologies into the grid. Managing data and information and upgrading the grid to better balance peak loads is highly costly. eSmart Systems provides a cloud-based and cost effective way of using data to optimize existing grids for energy efficiency, allow for predictive maintenance to reduce outage and continuous monitoring of all assets. This solutions helps energy companies save time, money, and energy and reduces CO2e emissions associated with these energy savings. eSmart Systems is aimed at utility companies looking to improve efficiency. All that is needed to start running the brains of the smart grid is an internet connection. Conventional energy sources are contributing significantly to climate change through excessive CO2e emissions. As a result, energy companies are under pressure to find more efficient or alternative ways to generate reliable energy and bring down emissions. ICT-enabled smart grids have the potential to generate significant efficiency improvements in existing grids and further facilitate the integration of distributed and renewable energy. By 2030, ICT-enabled solutions have the potential to save 6.3 billion MWh of energy and reduce global CO2e emissions by 1.8 Gt CO2e through better supply and demand management, integration of renewables and grid efficiency gains. 1 Of a total abatement of 3.4 Gt, 1.57 Gt accounted for supply demand management, this has been reallocated to smart building (75%) and smart manufacturing (25%). Industrial development across economies is fueled by energy. However, growing financial and environmental constraints are forcing companies to look at ways to increase both cost-effectiveness and efficiency of existing infrastructures. ICT plays a key role in providing affordable access to energy by improving efficiency and allowing for further integration of renewables. By 2030, ICT-enabled smart grids are expected to make energy generation and distribution more cost-effective, thereby avoiding need for the construction of 700,137 kilometers of grid, saving both money and resources. In addition, the evolution of smart grids could create $2.1 billion in additional revenues for the ICT sector and $811.3 billion in revenues for renewable energy companies. Access to secure and reliable energy is a challenge to both the developed and developing world, with over 1.1 billion people across the globe living without electricity today . ICT-enables smart grid solutions facilitate the integration of distributed and renewable energy sources into the grid, allowing the development of local micro-grids even in more remote areas. Renewable energy parks, communities or even households producing their own renewable energy can be connected to the grid via ICT allowing them to feed back into the grid and benefit from secure and reliable energy provision. With a rapidly increasing urban population, the demand for additional housing and commercial real estate is on the rise. However, the construction and operation of buildings is highly material and energy intensive, with buildings using around 40% of all energy consumed worldwide. ICT-enabled smart building solutions are quickly gaining ground as enablers of buildings that are energy and resource efficient, automated and centrally controlled, and provide a healthier and more comfortable living or working environment. 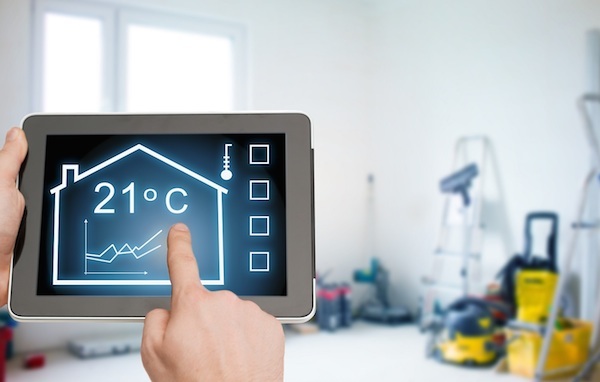 In the future, ICT-enabled solutions such as smart metering, sensors, automated diagnosis and control systems and the Internet of Things will provide residents, whether commercial or household, with greater insight and control and an enhanced living experience whilst saving energy and resources. Data collected via smart meters is communicated to users via their smart device in an understandable and actionable manner. This information allows users to monitor their energy use, remotely control building functions such as lighting, cooling or heating, and early detect faults or abnormalities. Smart building solutions enable both existing buildings as well as newly constructed buildings to improve energy and resource efficiency. In addition, they allow for predictive maintenance, optimized building operations management, and increased comfort and control. By converging building control technology with ICT solutions, residents or users are empowered to manage energy use, forecast faults and receive real-time information on a building’s conditions. By optimizing efficiency smart buildings can significantly contribute to creating a real estate sector that is more cost-effective, reduces CO2e emissions and provides an enhanced living and working environment. "Increased comfort and control at your fingertips." Enetune-BEMS – Central energy management system. In Japan, sustainability and resource conservation are key topics of interest. 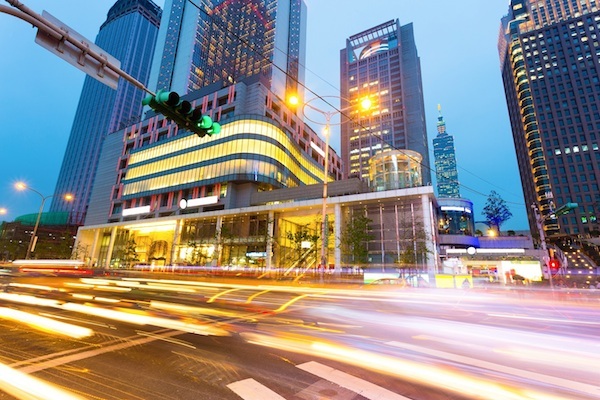 In 2014, Date-City in Japan adopted Fujitsu’s Energy Management System to centrally manage and improve energy use of public facilities in the city. This cloud-based energy management system, called Enetune-BEMS, allows for central management, integration and visualization of multiple business sites and facilities. Through functions such as demand management and remote and automated control of energy consumption, the system allows for energy conservation measures across public facilities. The system allows the local government to effectively manage the energy use of 45 public facilities and schools in the city and enables the city to share information on power usage and energy saving measures between public officials and citizens. By centralizing information on public energy use, the Enetune-BEMS solution provides Date-city with an effective tool to implement energy saving measures, limit power consumption during peak periods and reduce CO2e emissions through energy savings. Today, both household and commercial buildings have a large environmental footprint using around 40% of all energy consumed worldwide. In order to address this and contribute to reducing global CO2e emissions, the real estate sector is looking at ways to improve building energy and resource efficiency. Globally, ICT-enabled smart buildings can generate a CO2e emission reduction potential of 1.96 Gt CO2e, 5 billion MWh of energy saved and 261 billion liters of water saved from being wasted due to use of data-driven more efficient processes. 1 1.17 Gt of the 1.96 Gt total was allocated to smart buildings from better supply-demand management from smart grid. Buildings make up the largest part of the operational expenses of many organizations. Increasing a building’s energy and resource efficiency reduces operational expenses, which in turn boosts its Return on Investment (ROI). In addition, smart building solutions can enhance employee productivity by reducing time lost on maintenance and providing a better and more comfortable working environment. By 2030, ICT solutions for smart buildings have the potential to generate $360 billion in cost savings from energy and water costs, $199.7 billion in additional ICT revenues and from smart home connectivity and $184.9 billion in revenues from smart home system installations. With a rapidly increasing urban population worldwide, demand for affordable and quality housing and real estate is on the rise. By 2030, world will see an increasing number of megacities, with people struggling to find housing or office space. In addition, people will be increasingly looking to reduce operational expenses and improve the comfort and convenience of their homes or offices. By providing better insight and control, users can monitor their energy use, adjust the environment to their liking and save on water and energy bills. In addition, automated diagnosis and alarm systems enable predictive maintenance and reduce downtime of critical functions such as lighting, heating or cooling. Finally, an enhanced living or working experience can increase one’s productivity and create a healthier and happier environment. By 2030 a projected global population of 8.3 billion people will need water, food and shelter, placing increasing strains on our natural environment. While current agricultural methods and practices increase crop yield, these methods often consume large amounts of resources, cause deterioration to land and biodiversity, and generate high levels of greenhouse gas emissions. Furthermore, around one third of all food production globally is wasted, costing the world around $750 billion a year. 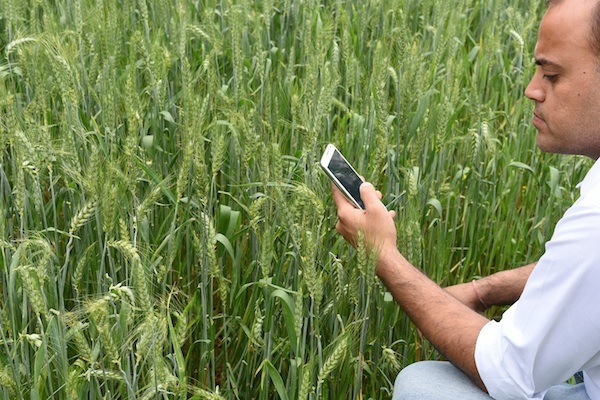 In addressing these challenges ICT-enabled solutions are expected to play a big part by making agricultural practices smarter, data-driven and more efficient. So-called Smart Agriculture means using digital technologies to make food production more efficient by enhancing crop yield, reducing waste and easing access to markets. On-farm sensors and connected machinery send real-time data on the weather, crop, livestock and soil conditions which is transformed into usable and actionable information on a farmer’s smart device. Using ICT, farmers can predict exactly how much water, energy, fertilizer, feed or other resource is needed for a specific patch of land at any given time, or detect early onset of diseases or pests. Such ICT-enabled ‘precision agriculture’ helps farmers increase crop yield while reducing resource and energy inputs. In addition, real-time information on weather and climate conditions helps farms create stronger resilience to climate-change related extreme weather events. ICT can also help reduce food waste through GPS, RFID or other smart tracking and tracing systems, providing real-time information on an individual product’s source, location, freshness and expected expiration date. "Feeding a growing population in a sustainable manner." Farm Cloud Computing - Transforming farming by exploiting ICT. Aeon Agri Create is an ‘ICT Farming’ enterprise, created in partnership with Fujitsu, managing 15 farms covering over 200 locations across Japan. Aeon Agri Create was established with the aim to apply ICT to develop and share farming expertise so that people without much farming experience can deliver good results. The Aeon farms use Fujitsu’s Akisa Cloud Computing service as the basis of their daily farm operation and monitoring. Workers are supplied with smart devices from which they can check operations, monitor crops, or check pesticide or fertilizer use while also keeping track of operational costs. Through GPS technology the collected data can be connected to a specific farm and a specific patch of land within the farm, allowing workers to early detect and record abnormalities, insect damages, pests or diseases. Farming plans, crop yield forecasts, observations, harvest data and other relevant information is integrated into a central database used to analyze and improve productivity. For example, collected data on the Japanese mustard spinach plant suggested that crop yields per hectare could be improved by up to 33% through optimal harvesting time and applying the right amount of sunlight and heat. This applied use of farm-generated data helps the company to support strategic crop planting, optimize production, and reduce the required energy and resources. In fact, time savings of up to 80% can be achieved using the cloud computing service. Moreover, as the data generated is sharable, Aeon Agri Create aims to extend its application of ICT farming to 3000 subcontracted farmers, forging win-win relationships with its partners. The agriculture industry is accountable for a large part of global CO2 emissions, land and water use. Feeding a growing amount of people within planetary boundaries means increasing productivity while wasting less and reducing CO2 emissions. By increasing resource and energy efficiency ICT-enabled Smart Agriculture solutions can generate a global abatement potential of 2.0 Gt CO2e emissions, save over 251,000 billion liters of water from being wasted, save 1bn MWh of energy and average increase land yield by 897 kg per hectare of land. Through smart farm management technologies and automated control systems, economic benefits can be achieved as well. An average crop yield increase of 30% can produce additional revenues of around $1.8 trillion, translating to an average annual increase in farmer income of $300. At the same time, Smart Agriculture solutions also help generate cost savings due to reduced water and energy use of around $109 billion and $75 billion respectively. A less wasteful and more productive agriculture sector provides a range of wider societal benefits. By increasing productivity and reducing food waste, ICT-enabled solutions contribute to feeding a growing global population. In addition, ICT can help include smallholder farms into the global marketplace by providing low-cost access to better information regarding land or crop conditions, markets, and nearby suppliers or transport companies. Better information and access to markets are essential in raising the income potential of small farms and can help provide food to people even in the most remote areas. Across the globe today, there are one billion vehicles on the road, a number that is expected to double by 20351. Rapid growth in urbanization and demand for mobility and logistics worldwide is creating unintended negative environmental and social consequences such as elevated resource consumption, air pollution and increased CO2e emissions. In their current state, many logistics chains are fragmented and inefficient with unused or redundant capacity across supply chains and modes of transport. As demand for mobility and logistics increases, these inefficiencies are only expected to worsen, resulting in significant fuel, energy and materials wasted. Smart Mobility and Logistics solutions have the potential to address these challenges and facilitate further sector growth while taking away inefficiences and reducing environmental negativities. By optimizing traffic flows through smart sensors, GPS and connected infrastructure, driving and parking can be made more efficient, saving time, money and fuel. Developments such as self-driving cars, cars-to-go and car-sharing platforms further enable optimal traffic flows and reduces fuel consumption as well as the number of cars on the road. Advances in the area of commercial transportation and logistics can have even stronger effects by connecting dispatch offices with vehicles, load units and even single products to create optimal efficiency across transport modes and reduce idle times and unused capacity. Use of data analytics and connected intermodal transportation can help companies improve overall fleet management, optimizes routes and increase their operational agility. ICT-enabled solutions are an important part of the solution to global mobility challenges. Enabled by the Internet of Things, the use of smart devices and access to mobile broadband, smart solutions have the potential to disrupt the industry as it is today by optimizing private mobility, traffic control and transport logistics. As demand continues to grow, only a mobile and connected mobility and logistics sector can enable people and products to reach their destination in a fast, efficient and sustainable way. "Reaching your destination fast and sustainably." Networkfleet – BLS puts the brakes on rising fleet management costs with Networkfleet. BLS Trucking, one of the largest independent delivery services companies in the Midwestern US, was struggling with rising fuel expenses, vehicle theft, outages and logistical inefficiencies. In order to address these challenges, BLS adopted Verizon’s Networkfleet, a wireless fleet management system that merges diagnostic monitoring with GPS-based automatic vehicle location technologies. The system provided BLS with an effective way of tracking and monitoring every single vehicle in their fleet, collecting information on location, idle time, odd-hour usage and fuel consumption. By making the entire fleet visible and more transparent, Networkfleet helped BLS save an estimated $188,000 in fuel costs during the first year by eliminating unauthorized usage and unnecessary idle time. In addition, it enabled the company to perform predictive maintenance, reduce breakdowns and repair costs, prevent theft, and protect drivers from wrongful claims. With over one billion cars on the road today, the mobility and logistics sector is accountable for a large part of global CO2e emissions, fuel usage and resource waste. ICT-enabled solutions for Smart mobility and logistics can help improve traffic and transport efficiency, create greater transparency and reduce environmental negativities. Together, reduced or more efficient private and commercial mobility across different sectors could generate a global CO2e abatement potential of 3.8 Gt of CO2e by 2030. In addition, connected private transportation such as car or route sharing can take around 135 million cars of the road. Smarter solutions for commercial transportation have the potential of saving 3.8 billion kilograms of wood from wood pallets used in transport. Improved operational efficiency through data-driven solutions provides a range of economic benefits. In the area of Smart logistics, the average additional loading rate can be improved by 6.8% through the use of ICT. In addition, such solutions can reduce average empty runs by 3.7% by connecting fleets, vehicles, load units, products and people. Process optimization in smart logistics can generate overall cost savings of $174 billion by 2030 as well as $288 billion in costs saved from fuel usage. Other cost savings can be achieved in optimizing traffic flows, with the potential to save $255 billion on fuel consumption and $123 billion on costs associated with traffic congestion. For ICT start-ups and companies developing car and route sharing applications additional revenues of almost $525 million can be achieved by the year 2030. In terms of societal benefits smart mobility and logistics solutions can have a great impact in several areas. Most importantly, efficient traffic and mobility can help people save over 42 billion hours from waiting for a bus or a train, or being stuck in a traffic jam. All this time saved can now be spend on more productive things. Secondly, smarter mobility and logistics helps reduce local noise and air pollution, creating a happier and healthier living environment. And last, ICT-enabled solutions help improve overall safety on the road, rails, in the air or in the water by tracking transport units, automated emergency contact and faster emergency response. The conventional ways of conducting business involves people making shopping trips, sellers setting up retail shops, banks establishing branches and employees commuting to work. This means heavy operational costs, increasing use of fuel and energy and rising CO2e emissions and material consumption. ICT solutions have already started to revolutionize the way people work and do business: In retail, e-commerce provides online platforms where sellers and buyers can exchange goods for money and make payments using secured cashless gateways. In the financial sector, e-banking, is providing access to banking products and services through electronic delivery channels, such as websites or smartphone applications. Organizations are applying e-work by using cloud platforms, virtual workspaces and smart communication devices to facilitate daily office work between company members operating from different locations. By 2030, ICT solutions will transform the way in which individuals manage their daily life; shopping, banking and work activities. This will create a business environment in which time and distance are less important. People will have access to more information to help them make decisions and consumers will have better access to a wider range of products and services, all from the comfort of their homes. "Connect more people to mainstream business activities while saving time and resources." Dynamic Workplace – Virtual workplace solution creating sustainable value. Provided by Deutsche Telekom (DT), Dynamic Workplace is a user-friendly cloud-based workplace allowing access to virtually any application through a simple web browser. The solution is compatible with any type of device such as notebooks, tablets and smartphones, and is delivered in a secure fashion from a private cloud. Using Dynamic Workplace allows any employee access to all the files, applications and software that they need to work at their convenience from home, a coffee shop, an office abroad or any other environment. The solution is offered on a simple user interface across all devices and provides a self-service portal with integrated workflows. For a typical company, DT’s Dynamic Workplace solution helps employees reduce time spend on commuting to work by on average 56 hours a year. In addition, the solution helps every employee to save over €250 per year due to reduced commuting. For companies Dynamic Workplace offers significant benefits in terms of CO2e emissions reduction, employee cost savings and higher employer attractiveness. In fact, per year a company employing around 35,000 people can save 16,000 tons of CO2e emissions through reduced travel and achieve €15 million in cost savings through reduced idle time and sick days. Customer will increasingly substitute off-line shopping with e-commerce, reducing the number of trips to shops and emissions associated with travel. Online transactions will increase by 50% in 2030 thanks to ICT enabled capacities such as smart devices and digital wallets. E-Work could reduce commuting by 53% and the number of business trips by car or airplane by 80%. E-Banking has the potential to generate a reduction of 50% in the number of trips to bank branches. Reducing travel through E-Work, E-Banking, or E-Commerce could result in significant CO2e abatement and resource savings by 2030. Both E-Commerce and E-Work could generate savings of 165 billion liters of fuel from transportation. The estimated fuel savings from E-Banking equals §1.3 billion. As a result of employing digital investment platforms, a total of 388,854 tons of paper saved are estimated as a result of electronic transactions. Growth of e-commerce results in a substantial reduction in transaction costs, improved supply chain management, increased productivity andprofit margins and reduced costs for sourcing. The economic benefits from can potentially amount up to around $15 billion. With the introduction of mobile workplaces and virtual meeting platforms, E-Work cost savings could equal $679 billion. With an ICT enabled workplace, 4.6 billion m2 of space can be saved and Employee productivity is expected to increase by an average of $2 per hour in 2030. Use of an integrated multichannel infrastructure and improved ICT services will lead to a convenient and more customer-centric scenario. E-Banking will improve access to banking products and services for people without previous access. By 2030, ICT solutions will enable employees to work from anywhere, anytime and on any smart device. E-work offers an improved quality of life and health with working flexibility, reduced stress, and better work-life balance. In 2030, it is estimated that 105 billion hours can be saved due to e-commerce ande-work interactions, with e-banking potentially saving 914 million hours. The “Industrial Internet of Things” is a robust combination of Smart Machines, Smart Materials and Smart Products to a Smart Factory. Such enhanced manufacturing techniques can increase productivity, quality, resource efficiency and flexibility in production. Although the benefits of ICT powered manufacturing are widely accepted, it is still not mainstream. A combination of such low adoption rates of ICT in manufacturing with growing population and rising demand may mean severe resource crunch, wasteful operations and rigid production processes. Once organizations can overcome these barriers, ICT powered Smart Manufacturing can promote innovations like virtual manufacturing for operational excellence, customer centric flexible production for faster time to market and circular supply chains for resource efficiency. Making manufacturing smart is a great value add because it transforms traditional factories from traditional cost centers into high performance plants which are fully optimized in their consumption of all resources used - both productive components like raw materials and basic resources like energy, water etc. "Smart manufacturing can transform traditional factories to high performance plants." FJVPS – Avoiding emissions in manufacturing through digital prototyping. The Fujitsu Virtual Product Simulator (FJVPS) is an advanced manufacturing industry solution that allows manufacturing companies to create virtual prototypes of their products, machines or other items instead of having to physically manufacture them. The FJVPS provides a simple design operation using 3D-CAD data that even people inexperienced with the technology can use to design their own prototypes, detect faults and improve design quality in the very early stages of product design. The Virtual Product Simulator realizes benefits such as quality improvement by detecting 50-80% of design errors, shortening the development period and associated costs by 50%, and reducing necessary man-hours by 30-40%. Furthermore, replacing face-to-face with online meetings, and reducing resources used for prototyping, achieves a reduction in CO2e emissions of 30%. Allowing companies to virtually test their design without physical manufacturing drives significant savings in terms of time, money, resources and CO2e emissions. Closed loop demand response power utility services and localized automated power management system for the individual equipment in the industry will enable efficient utilization of the resources. ICT enabled Circular Supply Chain, including for example remanufacturing of products, components, and waste; circular packaging will help in decoupling growth from scarce resources and, thus, gaining a competitive edge. The various smarter processes will enable resource efficiency. The total energy savings from these smarter processes equals to 4.2 billion MWH of energy and 81,182 billion liters of water savings from wasting in 2030. The global GHG abatement from Smart Manufacturing equals to 22% (2.71 Gt CO2e) of the total abatement potential contributed by the eight sectors. Smart factory “units” can determine and identify their field of activity, configuration options and production conditions as well as communicate in-dependently and wirelessly with other units. These processes will improve the productivity quality for the various good produced using these technologies. 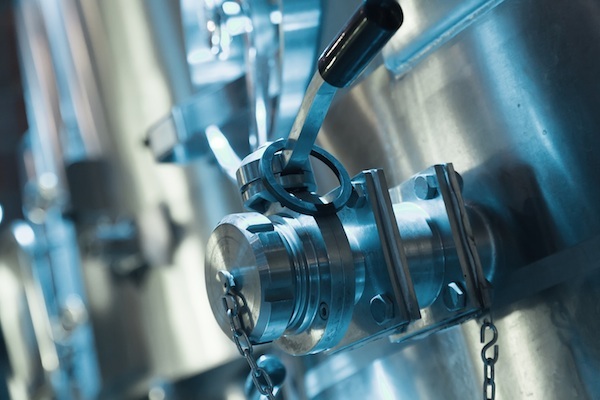 Smart Maintenance avoids costly downtime and maintenance costs. The early identification of symptoms of the machinery helps in deploying optimum resources, maximizes machine uptime and improve supply chain processes. Introduction of automated and self-maintained smart processes will lead to $11.9 billion in cost savings in 2030. The Smart Manufacturing technologies will lead to an increased safety and health by reducing the number of incidents and fatalities. At the same time, it will free up time of manufacturing workers that can be used for more innovative works. ICT has the potential to maintain global CO2e emissions at 2015 levels, decoupling the past pattern where each 1% of growth in GDP equated to an 0.5% increase in CO2e emissions, and promote sustainable growth through 2030. To realize the potential of low carbon growth, policy action is essential. Policy interventions are needed in three key areas: Setting and enforcing ambitious national CO2e targets, creating investment incentives in infrastructure deployment geared to connecting the unconnected and establishing a fair, balanced and consistent regulatory approach to ICT solutions that promotes innovation and investments and ensures privacy, security and protection of intellectual property rights. ICT faces substantial and excellent growth perspectives. Overall, ICT could enable $11.4 trillion stakeholder benefits, comprising $6.5 trillion in new revenues across key sectors and $4.9 trillion in cost savings from greater efficiencies and decreased waste. To fully realize this $11 trillion business and sustainability opportunity, action is required: Business leaders should drive investment in ICT and cooperate with others in their sector; explore and realize ICT-enabled opportunities and cost savings; and commit to setting bold sustainability targets within your own organization and explore ways ICT can help you to meet your targets. By connecting 2.5 billion previously unconnected people to services ICT will improve the quality of life by 2030. Consumer buying decisions and sustainable use of products and services are important levers to reaching mass adoption. To fully realize ICT’s business and sustainability potential, action is required. Consumers should: get ready to “think digital” and try innovative ways of going about work and life; use ICT to better tailor services to their specific needs (i.e. in education, healthcare, mobility or commerce); and use their buying power to encourage businesses and policy makers that are rolling out sustainable ICT-enabled services to do more.